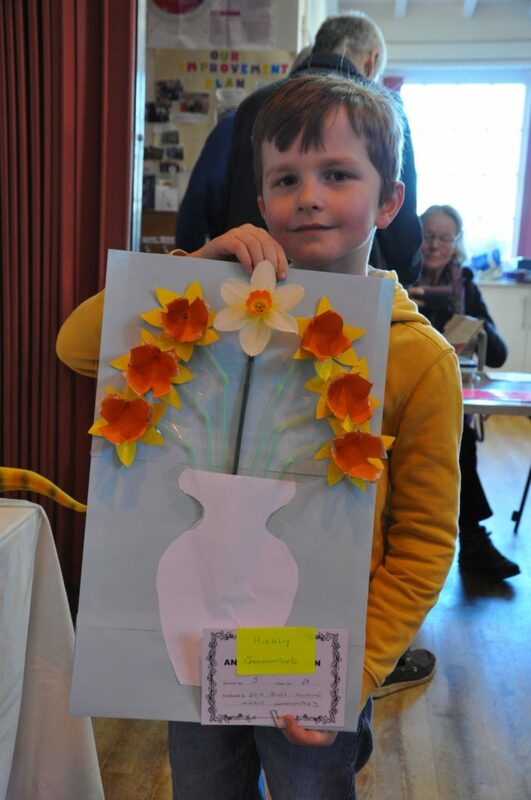 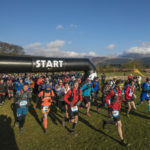 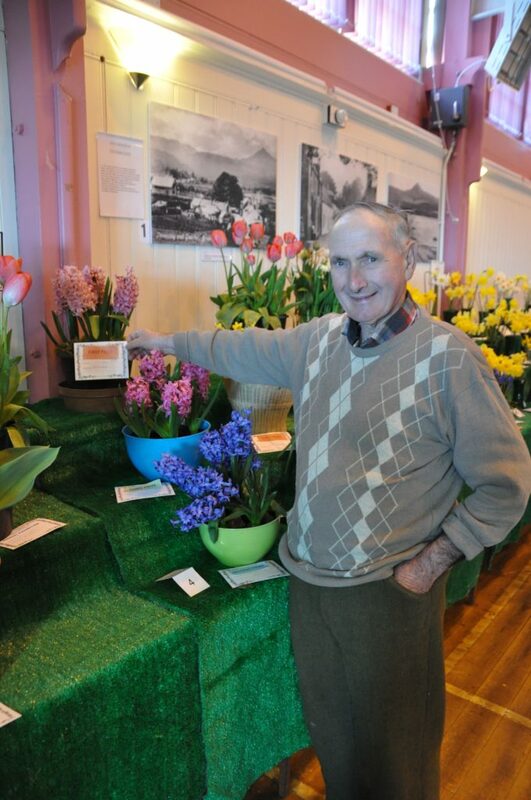 All of the signs that spring has arrived were evident at the annual Isle of Arran Horticultural Society spring flower and bulb show held on Saturday. 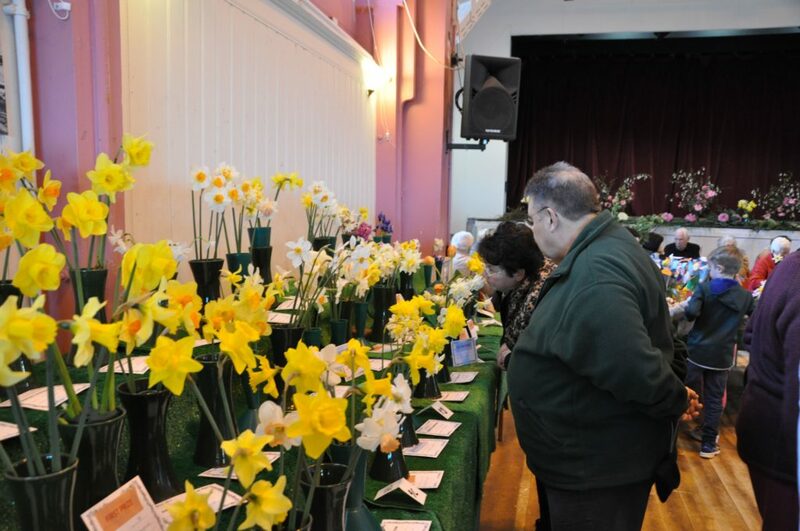 Adorning the tables of Brodick village hall were an assortment of daffodils, tulips, croci and amaryllii and a large number of cut flowers which were displayed in decorative vases and made into brightly coloured bouquets. 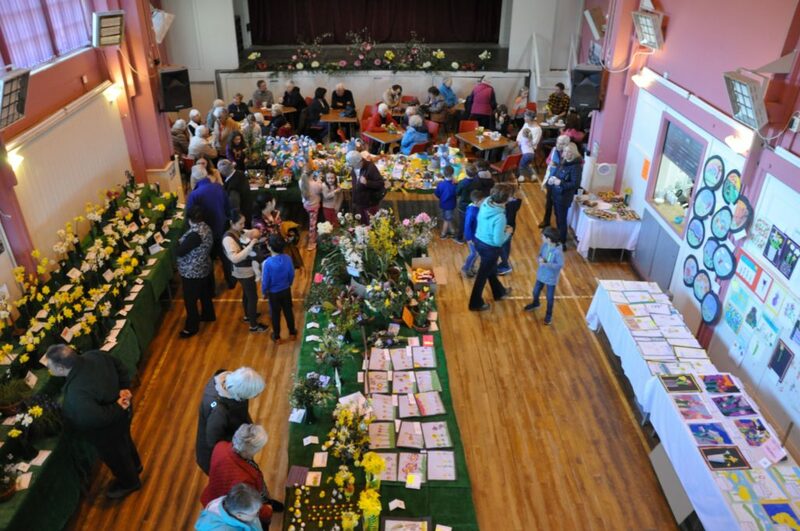 With over 26 categories in six sections there was a large variety of floral options for green fingered enthusiasts to enter and visitors to admire. 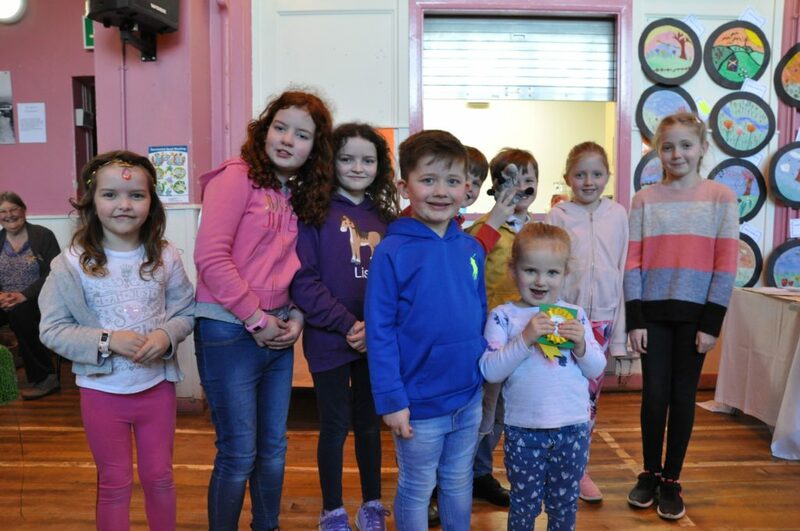 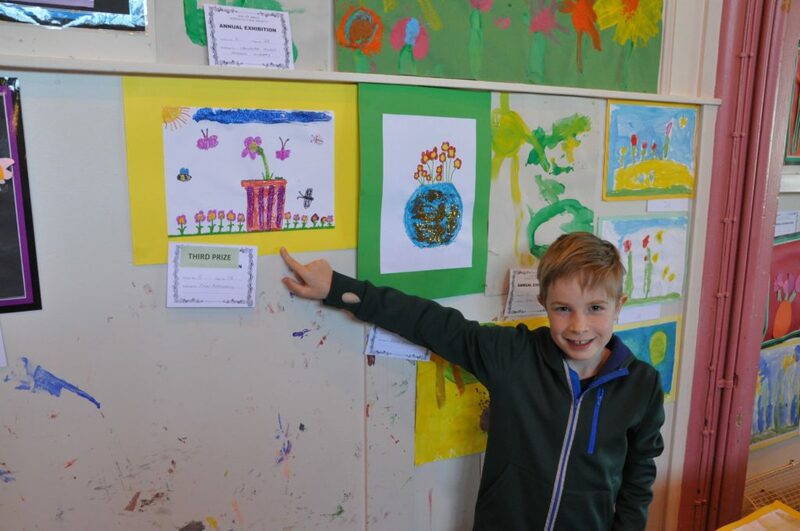 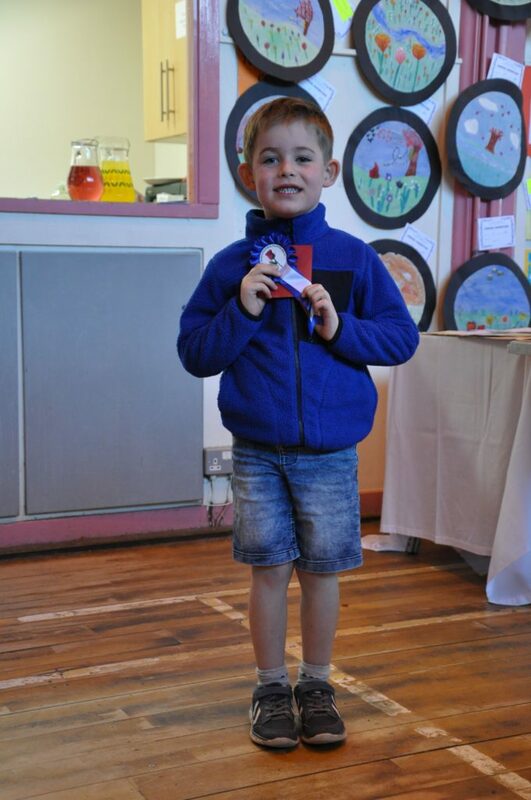 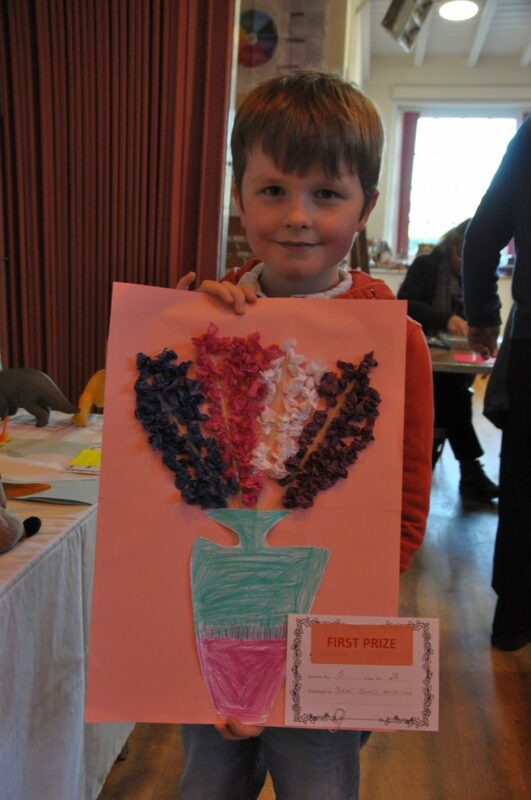 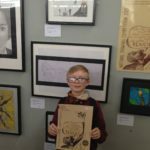 In the children’s categories – which received the most entries in the show – the walls were filled with the artwork of children who entered the show with their pictures depicting spring flowers. 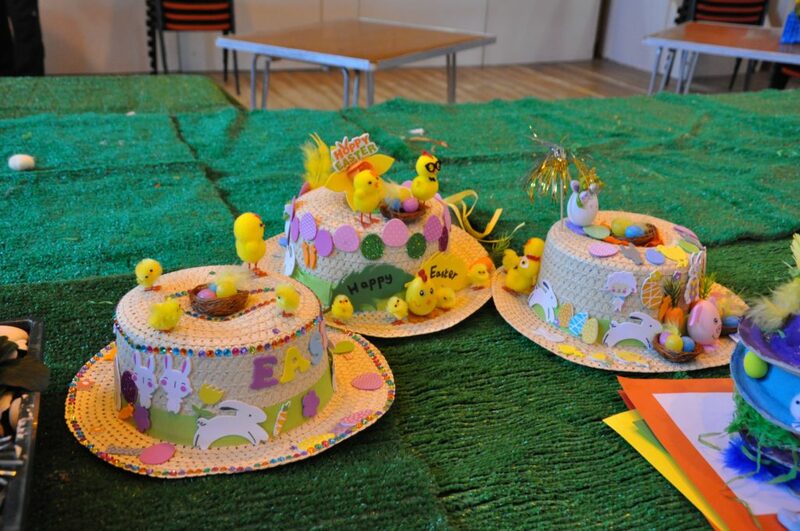 Children also entered miniature gardens, Easter bonnets and life size scarecrows. 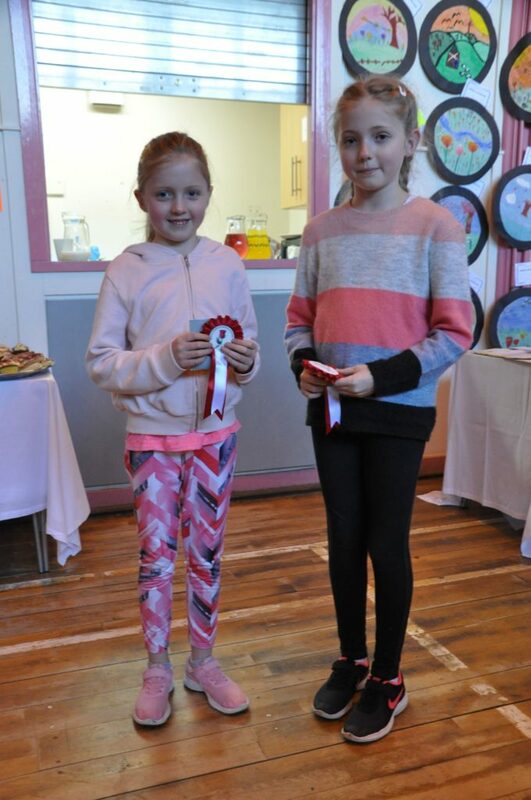 At the conclusion of the show a small prize-giving was held where trophies were awarded for the exhibits that were judged best in category. 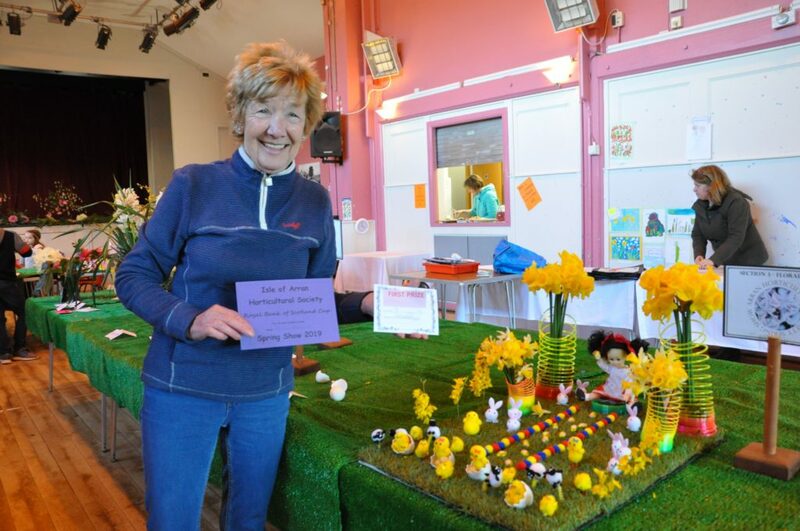 Taking the Royal Bank of Scotland trophy for best exhibit in show was Alison Bilsland for her floral art which featured a brightly coloured Easter themed presentation comprising eggs, chicks and springs. 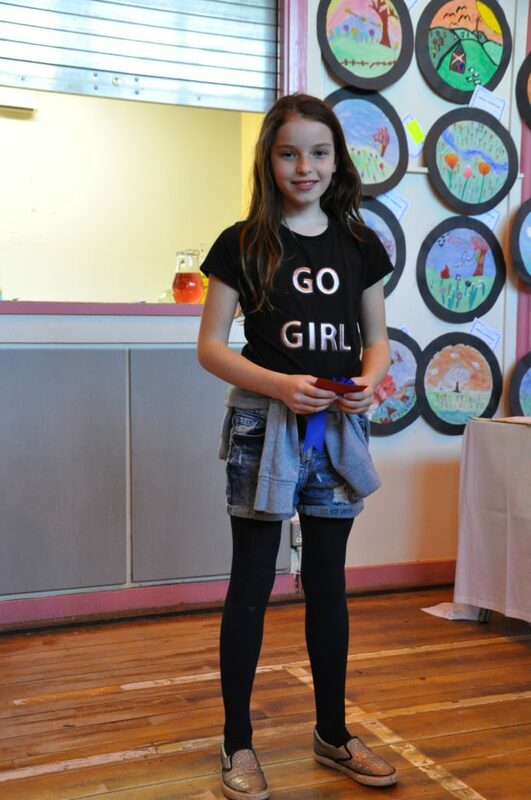 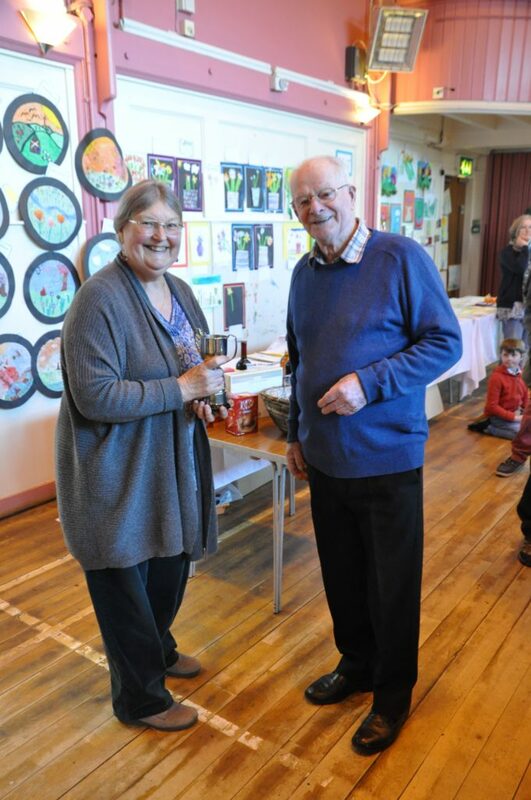 Angela Cassels won the RW McKelvie Cup for best exhibit in the bulb category while Tilda Litton won the Neil Mclean Cup for the best exhibit in the children’s category. 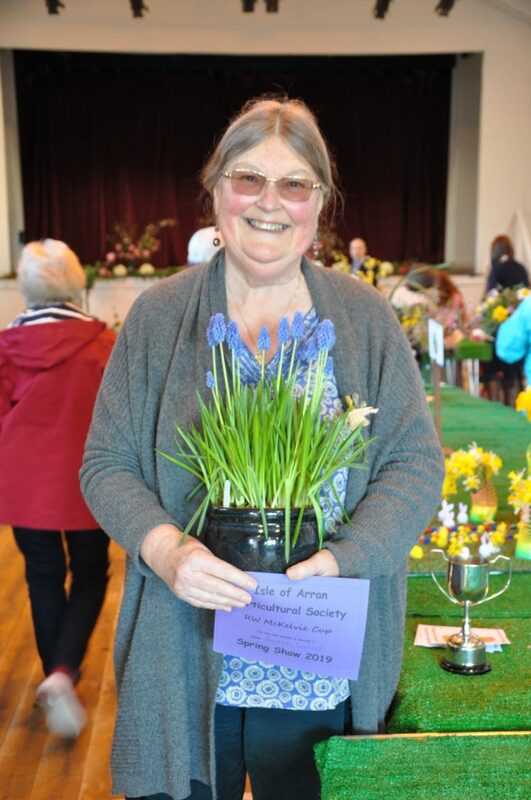 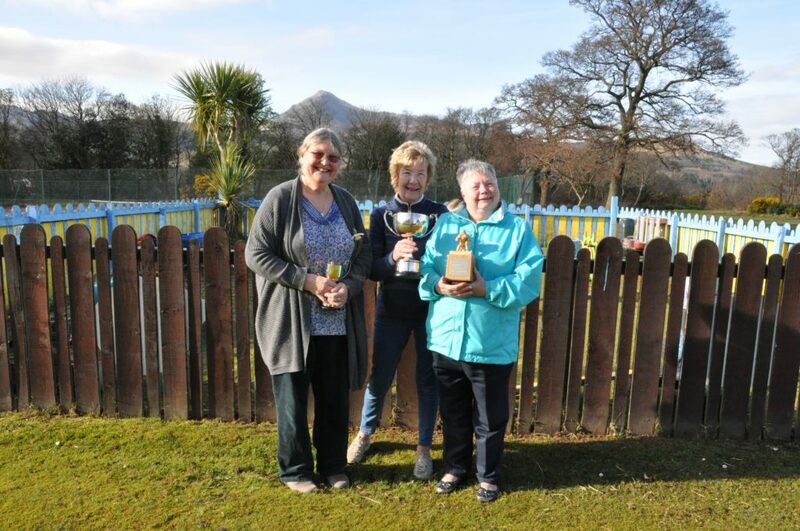 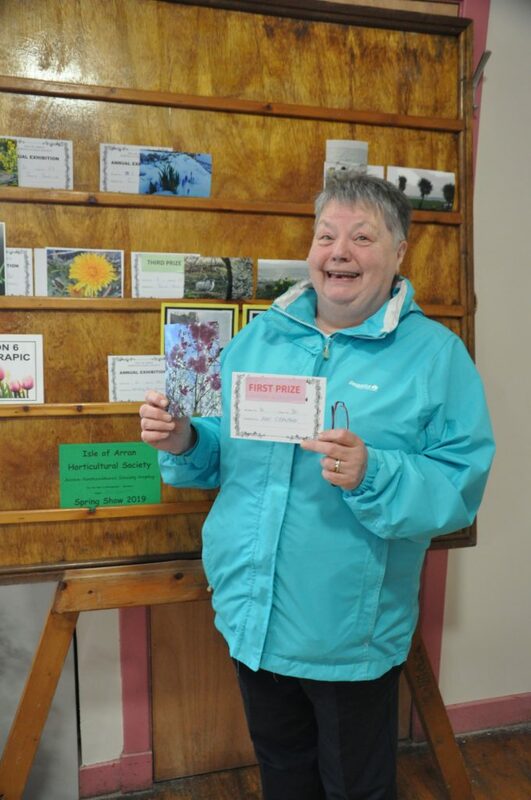 May Crawford who entered in the flower categories, but whom decided to try her hand at photography this year, won the Arran Horticultural Society Trophy for the best photograph in show. 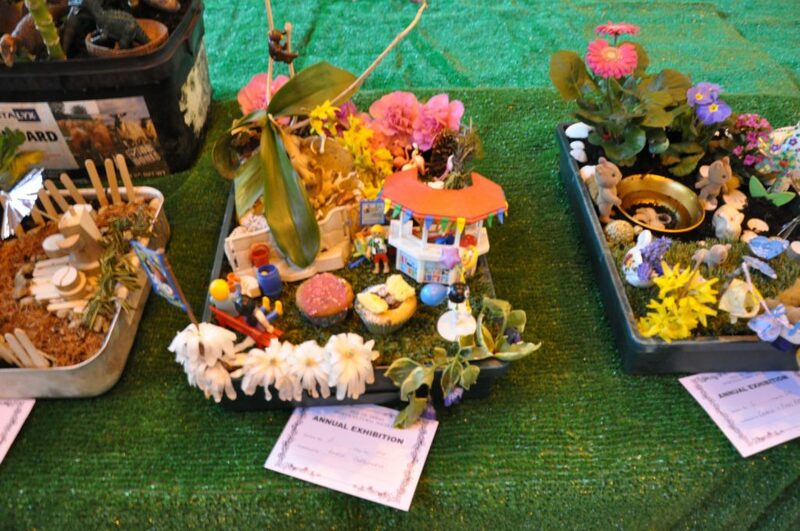 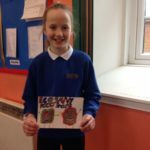 Brodick Primary School were the winners of the Brodick Castle Gardens Trophy for the school who won the most points in the show.